For the past 17 years, a group of dedicated cyclists have joined together to support Candlelighters For Children With Cancer through a fundraising event called Ride For A Child. The group participates in Cycle Oregon, and this year’s route traversed 383 miles, pushing riders to take on the steep mountainsides and deep canyons which paint Eastern Oregon. Participants pushed through mile by mile with the goal of raising funds and awareness for childhood cancer. While this year’s course was been conquered on September 15th, donations will be accepted until the end of October. For more information about Candlelighters, visit www.candlelightersoregon.org. 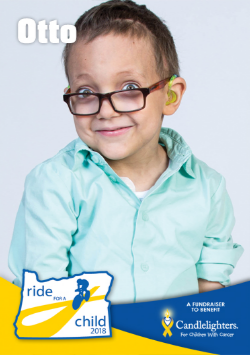 David Leslie, Territory Sales Representative, is riding in honor of Jillie. Bryan Leslie, Business Analyst, is riding in honor of Otto. Tom Leslie, President, is riding in honor of Maggie. 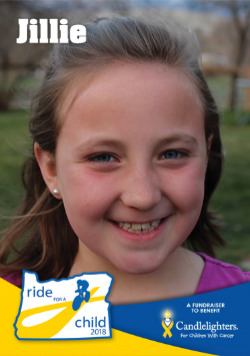 To learn more about Ride for a Child, click here to visit the homepage.